Recently, one of our senior clients received an urgent telephone call from someone posing as the “son” of her friend. He even used that son’s name. He sounded desperate and was “in trouble with the law” because his car caused property damage. He accidentally left his wallet in the car that was towed away. He said he could not talk to his own family because he was traveling on business and was embarrassed that he did not have enough money. He asked our senior to call his attorney in Pennsylvania to help him. Our now concerned client called the man posing as the attorney. The alleged attorney claimed that they need money right away. He instructed on the fastest way to do it without incurring wire transfer fees or Western Union fees. He told her to get $2,000 in gift cards from Best Buy or four $500 gift cards from CVS. After she did that, she was to call him back with the numbers on the back of the gift cards. The story was very convincing over the phone. So, our senior was now frantic to help. She went to Best Buy to purchase the $2,000 in gift cards. She did not call her children. She did not call her trusted neighbors. She did not even call her friends. Luckily, the cashier at Best Buy told our senior that she could not get $2,000 in gift cards and that there was a daily limit. Our senior was crestfallen that she could not get all the money. So, she went home to talk to the “son’s” mother. And that is when the reality of the scam hit our senior. The friend’s mother gently told our senior that her son was fine and with her and that it was probably a scam. Our senior was very shaken that she had nearly been duped. What can you do? Please talk to your senior parents about telephone scams. These scams are a form of elder abuse. Remind them that, if ANYONE calls asking for money, they should call you or another family member BEFORE they do anything. Remind your senior that you are there to help. 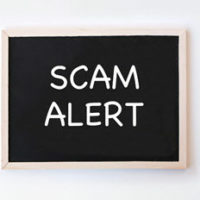 Tell your senior that scams sound legitimate at first which is why they should call you. Tell your senior that, if the IRS calls, it is probably a scam. The IRS never calls. Remind your senior that professionals accept cash, checks, credit cards and insurance. Legitimate professionals (attorneys, accountants, doctors) do not accept store gift cards in payment of professional advice . Tell your senior that hospitals do not accept store gift cards. Tell your senior to call you if a “friend” claims to need money today– maybe there is some other way your senior can help. Tell your senior to be skeptical of anyone asking her to keep the payment a secret. Remind your senior that scammers target everyone, not just them. Remind your senior that the best defense against a scam is to call a family member. So, even if you have already had the conversation with those close to you, talk to them again. Even more than the money, you can save the seniors in your life from the embarrassment, the self-doubt (our senior asked “Am I losing it?”) and sadness that accompanies being a victim of a scam.